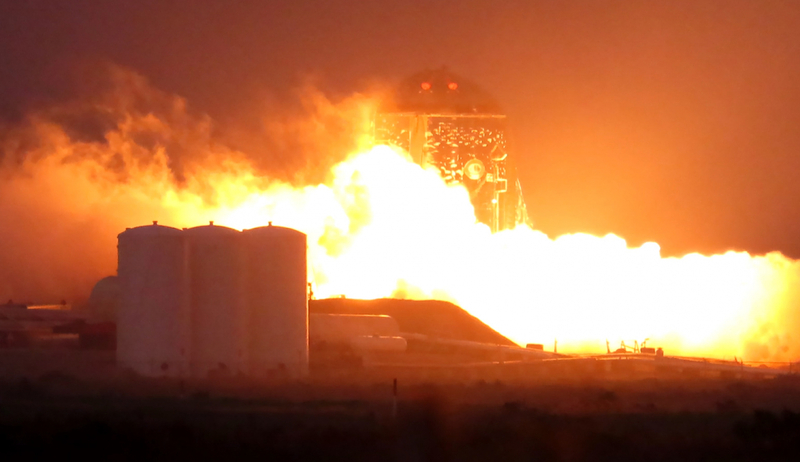 Testing of SpaceX’s Starhopper suborbital vehicle in Boca Chica, Texas, achieved a new milestone on Wednesday evening with a Static Fire test of its Raptor engine. The test comes after over a week of Wet Dress Rehearsals (WDR) and pre-burner tests. Thursday would have technically resulted in its first hop, albeit by just inches due to being tethered to the pad. A second hop on Friday night resulted in a visible hop.